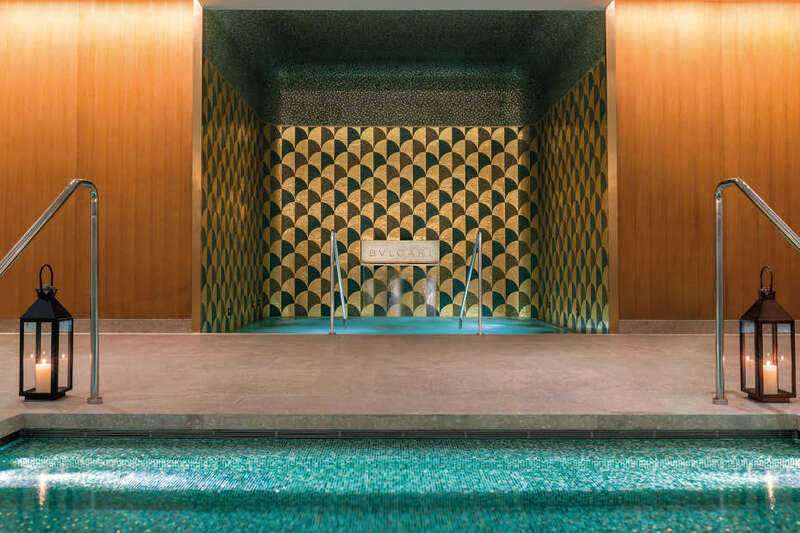 “The opening of the first Bulgari hotel in China underlines the importance of this market for our brand and it is a symbol of the fruitful dialogue between our two countries,” said Bulgari CEO Jean Christophe Babin. Following the opening of The Bulgari Hotel Milan in 2004, The Bulgari Resort Bali in 2006 and The Bulgari Hotel London in 2012, this newest addition to The Bulgari Hotels & Resorts collection, The Bulgari Hotel Beijing, opened on September 27, which is the fourth Bulgari Hotel in the world and the first in China. 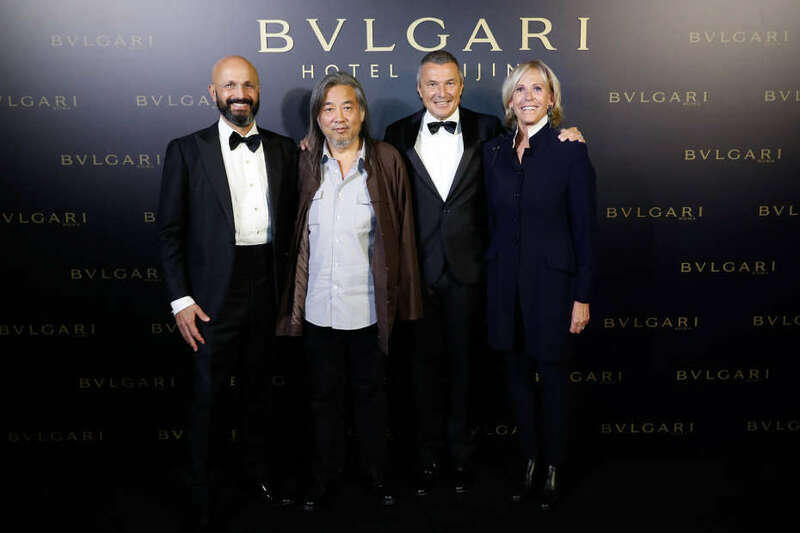 Celebrities, artists, designers and the high society of Beijing gathered to celebrate the hotel’s opening gala dinner hosted by Bulgari CEO Jean Christophe Babin and Chairman of Genesis Bao Min. Bulgari brand ambassador Shu Qi and famous actress Zhang Ziyi celebrated the grand opening together. 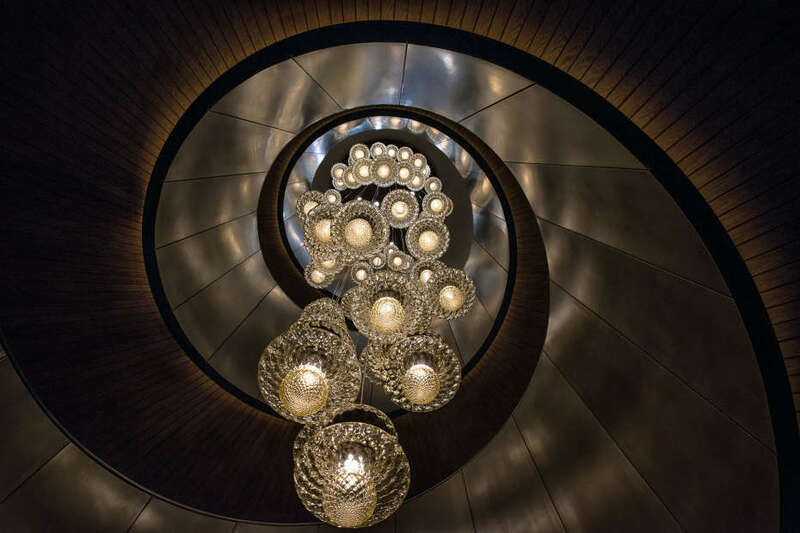 Designed by architects Antonio Citterio and Patricia Viel, The Bulgari Hotel Beijing is crowned seven years of meticulous construction works. 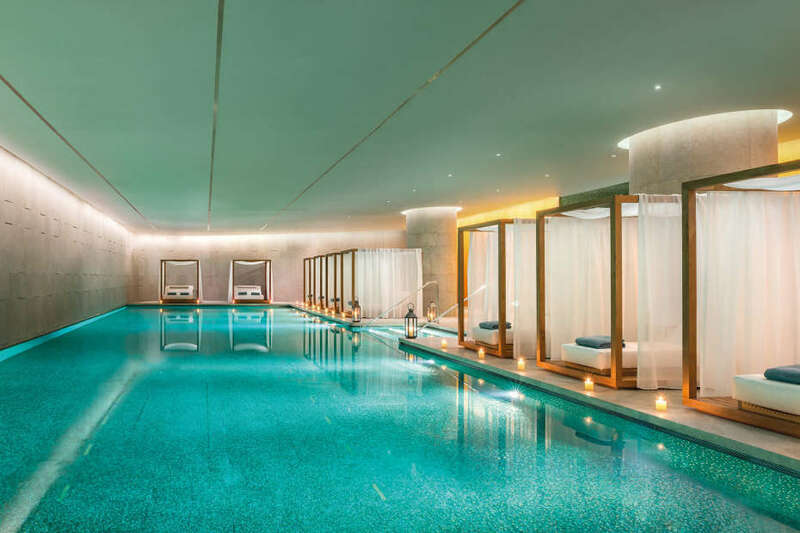 As with all the Bulgari Hotels and Resorts, the Bulgari Hotel Beijing was entirely designed by renowned Italian architectural firm Antonio Citterio Patricia Viel. They conceived both the interiors and exteriors in a process comparable to the creation of a high-end Bulgari jewel. A unique portrait of Sotirio Bulgari painted by Yan Peiming, one of the greatest contemporary artists of his generation, welcomes guests in the hotel lobby. 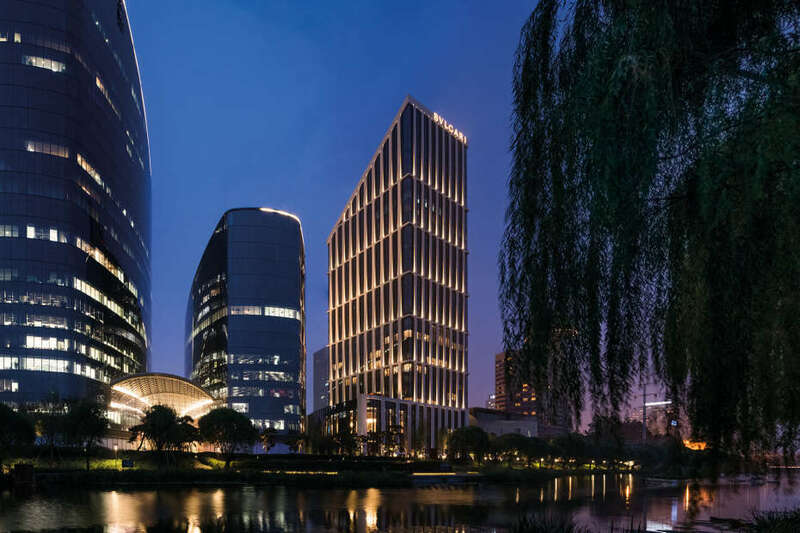 Overlooking the Liangma River, the new Bulgari property enjoys sweeping views of its riverside gardens from the hotel lobby, the restaurant and from all the rooms. The gardens surrounding the property are an oasis of green serenity designed by Swiss-based landscape artist Enzo Enea who conceived them as a dialogue between the Italian and Chinese landscape traditions, complementing the exquisite Italian-inspired interiors through a fusion of outdoor and indoor spaces. 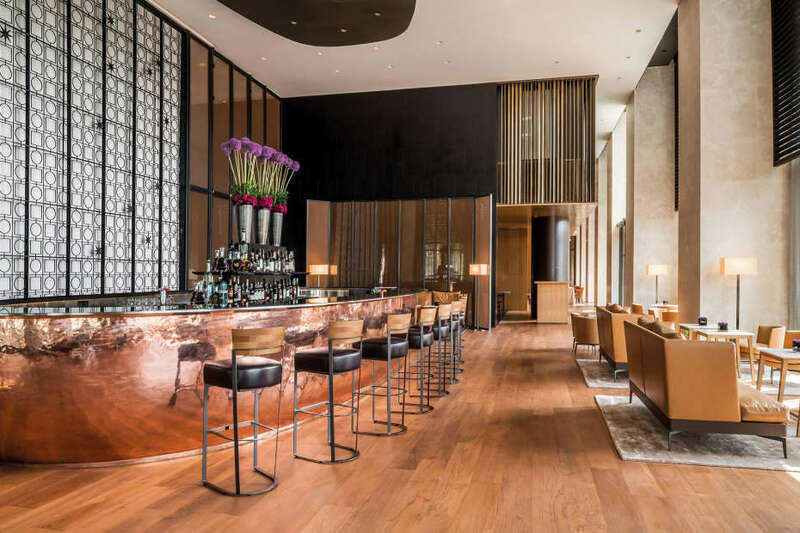 The Bulgari Hotel Beijing houses signature dining and drinking options on-site, namely Il Ristorante – Niko Romito, Il Bar and the Lobby Lounge. When it comes to fine dining, Bulgari hotels are famed and The Bulgari Hotel Beijing will be the first Bulgari property presenting the new collaboration with Michelin-starred Italian chef Niko Romito. Romito’s contemporary Italian cuisine is complemented by an extensive choice of Italian wines and a selection of the finest international labels in Il Bar, in an ambiance that has been crafted to ensure a seamless dining experience. 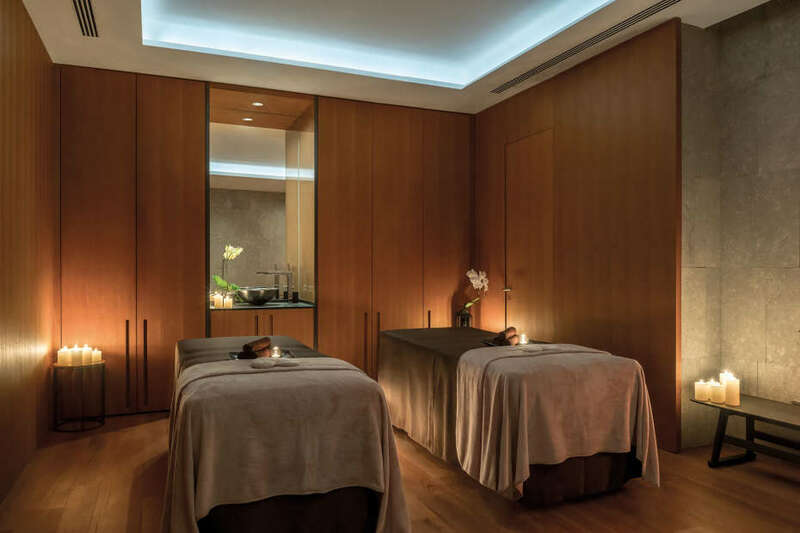 Elegant and contemporary, the 119 rooms and suites of The Bulgari Hotel Beijing are a haven of luxury in the heart of the Chinese capital. Guests enjoy the elegance and comfort of exquisite Italian furnishings and sleek Italian design. With a minimum size of 55 square meters, the hotel rooms are among the most spacious in the city. 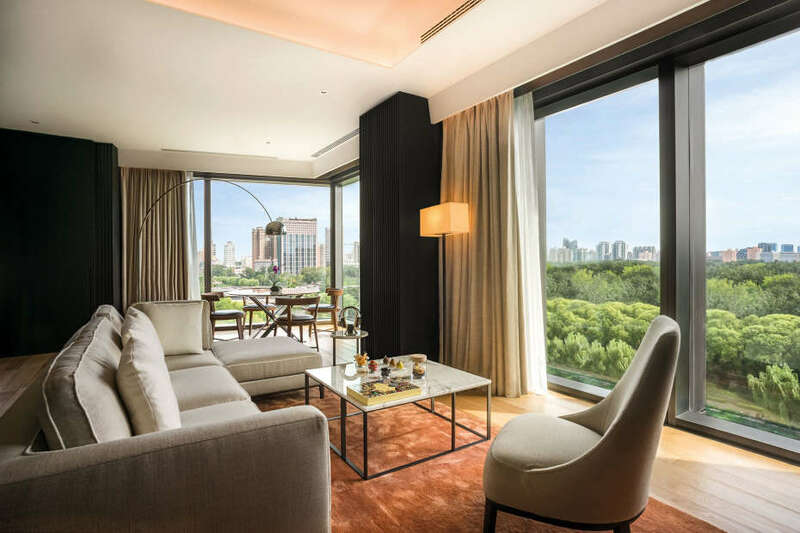 Luxury suites range from 71 square meters to the 380-square-meter Bulgari Suite, one of the biggest in Beijing. 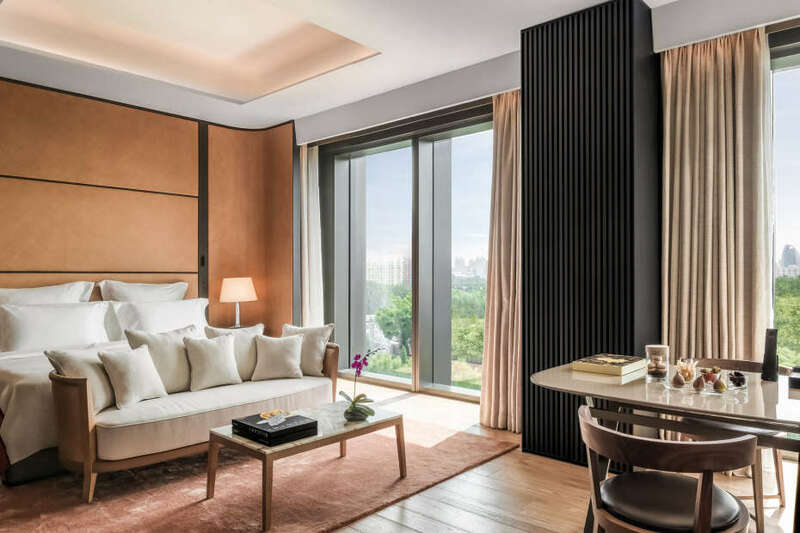 Offering guests sweeping views of the Liangma River, the Beijing skyline and Bulgari’s own magnificent private gardens, the suite features contemporary Italian design coupled with state-of-the-art technology. 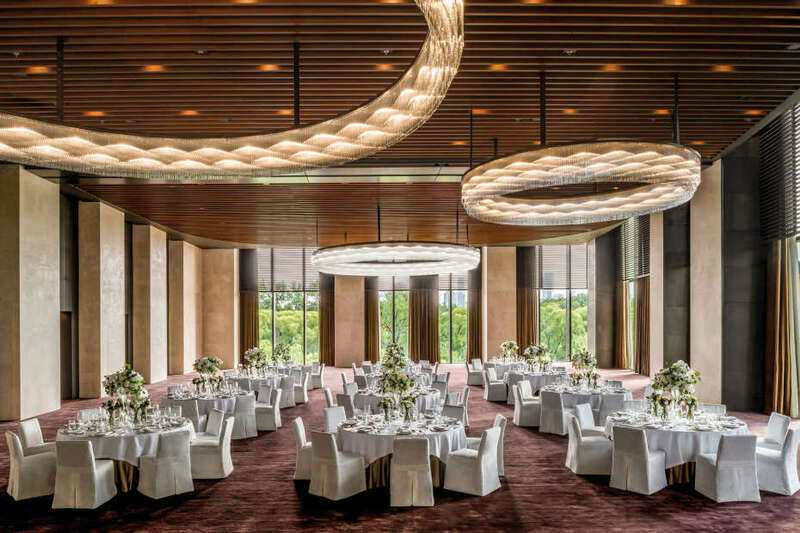 The Bulgari Hotel Beijing is proud to host to some of society’s most elegant weddings and events, featuring the exclusive Bulgari experience and Italian luxury lifestyle. With the impressive Chinese pines, the hotel gardens are the perfect location for weddings during the warm season. Scattered throughout the property, the “living sculptures” represent resilience and longevity, offering the perfect backdrop for outdoor events. Whatever the occasion or location chosen, the hotel’s promise of seamless service ensures the big day will be unforgettable.